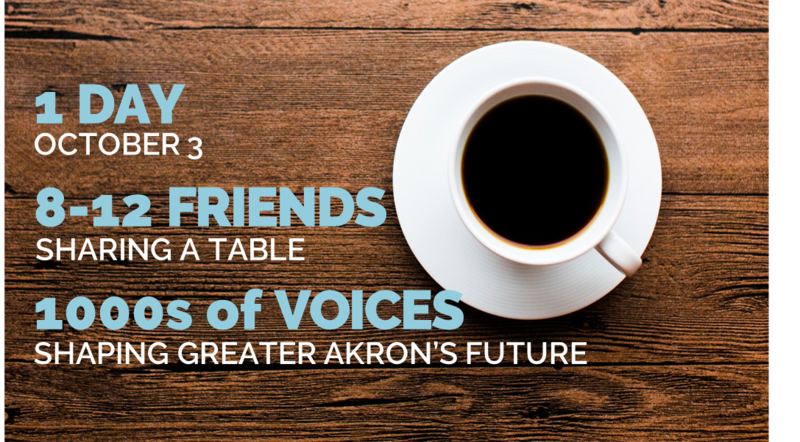 On the Table Greater Akron is a one-of-a-kind initiative created by Akron Community Foundation where thousands of diverse residents from all walks of life gather together to share a meal and discuss meaningful ideas to strengthen our community. Anyone who lives, works, worships or attends school in Summit County is invited to mealtime conversation with their family, friends, neighbors or colleagues. Tickets for this event are FREE, but registration is required. Please click on the registration link above to get your free ticket(s). If you have any questions about registration, please contact kcoleman@schd.org. We look forward to seeing you on October 3!